Radiation from mobile phones stimulates brain activity in the early stages of sleep even after you’ve finished using the phone, an Australian study shows. Associate Professor Andrew Wood from the Brain Sciences Institute at Melbourne’s Swinburne University says his study also found that exposure to electromagnetic radiation from mobile phones can reduce levels of the hormone melatonin, which is connected to the body’s sleep-wake cycle. But the study, reported in the International Journal of Radiation Biology, says it’s premature to conclude that talking on your mobile phone before bed will get in the way of a good night’s sleep. The study’s 55 participants received 30 minutes of mobile phone radiation, or 30 minutes of ‘sham’ radiation, on successive Sunday nights before being tucked into bed. Wood found that exposure to mobile phone radiation resulted in heightened alpha-wave activity in the brain. Alpha waves are associated with relaxation and daydreaming but normally disappear with sleep. “We found that in the first hour or so after getting to sleep that there was a significant change in one of the parameters of brain activity, that is the amount of alpha waves in the brain wave patterns,” he says. The increase occurred in the first non-REM period of the night, when subjects had drifted off but before they were in deep sleep. Australian sleep specialist Professor Leon Lack, from Flinders University in Adelaide, says this could be a sign that the first non-REM period of sleep isn’t as efficient as it could be, leaving people feeling tired when they wake up. “Alpha waves are really only present when you’re lying awake with your eyes closed trying to fall asleep,” he says. Researchers also tested participants’ urine for markers of the hormone melatonin, which is produced in the evening and is associated with individual sleeping and waking rhythms. Wood says some participants had an increased amount of melatonin after exposure, although there was no overall increase. “Some people had significantly less of this melatonin marker in their urine before they went to bed but overall the amount of melatonin didn’t change,” he says. He says the difference was quite marked in some people, indicating there may be “a special subgroup of the population that are susceptible to the effects of mobile phone radiation”. Lack says melatonin’s role in sleep is unclear and it’s uncertain whether having more or less affects your sleep. Wood says that at this stage mobile phones don’t seem to influence how well you sleep, unless the phones ring at all hours or you’ve had a particularly exciting conversation. With the San Francisco Board of Supervisors voting 10-1 in favor of a new law related to cell phone radiation, mobile handset makers will have to reveal information about the “specific absorption rate” (SAR) – that is, the amount of radiation absorbed by the users of various mobile devices – in their products. The law, which was tentatively approved by San Francisco on Wednesday, will essentially make it obligatory for the cell phone vendors to disclose the amount of radiation emitted by their phones. According to a San Francisco Chronicle report, the implementation of the law – which will likely take effect in February 2011 – will make the city the first US city to have such a cell-phone-radiation-related measure in place. At present, owners desirous of knowing the SAR details of their specific handsets can find all information on the Federal Communications Commission Website. To serve as a guideline in terms of radiation emitted, the maximum SAR level for any cell phone sold in the country is 1.6 watts per kilogram. Meanwhile, a number of scientific studies and media outlets have, in recent years, cautioned cell phone users about an increased risk for cancer, especially in the brain. With cell phones speedily starting to be an crucial component of our daily lives, it is terrifying to believe the radiation from mobile phones may well trigger wellness difficulties. Despite the fact that statements concerning the risks of cell phones are unsubstantiated, that has not stopped different entrepreneurs from promoting mobile equipment alleging to shield buyers from damaging radiation. Because mobile phones are a brand new technologies, you’ll find no lengthy phrase research to show or disprove statements about their hazards. Several research have tried to website link radiation from cell phones to memory troubles, tiredness, headaches, and insomnia. Some researchers have also recommended that youngsters who use mobile phones may well be at an elevated threat for difficulties because their bodies aren’t nevertheless totally created. There happen to be a lot of sorts of mobile equipment which have claimed to defend customers from hazardous mobile phone radiation. The producers of those items have relied on worry and paranoia to marketplace units without any scientific validity. WaveShield, WaveShield one thousand, WaveShield 2000, along with other items developed to defend customers from mobile phone radiation have already been verified ineffective. Actually, the Waveshield goods had been the topic of the 2003 FTC complaint. The primary difficulty with these mobile equipment is the fact that they cover the earpiece with the telephone, once the electromagnetic power that may well trigger issues originates from the antenna as well as other internal elements. You do not will need to invest your hard-earned income on mobile equipment to shield in opposition to radiation. Should you be involved regarding the achievable dangerous results of mobile phone radiation, you are able to adhere to FTC suggestions to aid defend your self. The FTC suggests that buyers worried about radiation restrict cellular phone use to brief conversations, use a hands-free headset, and steer clear of utilizing cell phones in locations with inadequate signals. Needless to say, total avoidance of cell phones will get rid of any feasible threat linked with radiation publicity. After years of speculation, the committee formed by the government of India finally confirmed that mobile phones do pose a serious risk and should be viewed as a health hazard. The eight-member inter ministerial committee also said that the radiation caused by mobile phones could be one of the causes of the falling number of butterflies, sparrows and other insects. The findings of the committee will now pose a serious problem for mobile phone operators and handset makers after it recommended that those phones which did not meet the specific absorption rate (SAR) of radiation should be banned while cell phone towers should not be placed near high density residential areas, schools, playgrounds and hospitals. “People who are chronically exposed to low-level wireless antenna emissions and users of mobile handsets have reported feeling several unspecific symptoms during and after its use, ranging from burning and tingling sensation in the skin of the head, fatigue, sleep disturbances, dizziness, lack of concentration, ringing in the ears, reaction time, loss of memory, headache, disturbance in digestive system and heart palpitation”, the report said. San Francisco – where composting is compulsory and plastic bags are banned – has passed the first law in the US requiring retailers to display the amount of radiation given off by mobile phones. The city’s mayor, Gavin Newsom, hailed the law as a victory for the public’s right to know what their mobile phones are doing to them even though some critics say there is no significant scientific evidence that they are hazardous to health. The city council, known as the board of supervisors, voted 10-1 in favor of the law, which requires retailers to place information on the amount of radio waves absorbed by a mobile phone user’s body next to each device to allow shoppers to choose between them. “This is about helping people make informed choices,” said Sophie Maxwell, chief sponsor of the legislation. But the industry says that information may lead consumers to wrongly believe that there are proven dangers from using mobile phones. A similar measure proposed in the California legislature this year was killed off amid heavy lobbying by the mobile phone industry. A law in Maine to require health warning labels on mobiles, similar to those on cigarette packets, also failed this year in part because the impact on health of sustained use of mobile phones remains a matter of scientific debate. Are cell phones safe? The mayor of San Francisco believes they are not. Mayor Gary Newsom wants cell phones sold in his city to carry warning labels on the box, similar to those found on cigarette packs. The labels would warn of a possible link to brain cancer, and would include “radiation absorption rate.” Newsom says he wants radiation levels shown next to each phone in a font at least as large as the price. State legislator Andrea Boland of Maine is seeking similar legislation for her state. Cell phones emit non-ionizing radiation. Non-ionizing radiation is defined as any type of electromagnetic radiation that does not carry enough energy to ionize atoms or molecules. What this means is that low-level EMF radiation does not completely remove an electron from an atom or molecule. When passing through matter, EMF radiation does not produce charged ions. Instead, it has only enough energy to create excitation, or the movement of electrons to a higher energy state. This means that instead of immediately altering DNA, it makes gradual changes to cells over time. In the case of microwave radiation (emitted by wireless LANs, laptops, and cell phones), some heating via induced currents can occur. In other words, microwave radiation from your cell phone causes warming in your brain cells. Health risks of such warming are still being studied. Although the cell phone industry trivializes the potential risk by asserting these fields and effects are quite low, it is important to consider length and frequency of exposure. One argument is that cell phone radiation is less than that we receive from the sun. Okay, we agree that’s a fact. However, how many people walk around all day with the sun glued to their ears? We’ve all been made aware of the hazards of ultraviolet rays in sunlight, and we limit our exposure or use good sun blocking formulas when we spend time outdoors. Not so for our cell phones. We rely on our cell phones for more and more these days. Many of us have given up our “land lines” and gone exclusively to cell phones. We get our stock tips and charts on our iPhones and Blackberries. We use our cell phones for email, texting, and video games. Now we can even download and watch movies or play games on these devices. That’s an almost constant exposure to EMF radiation. Scientific data from multiple sources are beginning to show a link between information-carrying radio frequencies emitted by cell phones, computer, and other devices, and various health effects. These include a higher risk of brain tumors, damage to blood cells, changes in DNA, nerve cell damage, links to autism and Alzheimer’s disease, eye damage, sleep disruption, fatigue, and headaches. In England, the National Radiological Protection Board suggested in 2005 that children younger than eight should not be given a cell phone, as it risks exposing their developing brains and bodies to harmful radiation. Recently, Toronto’s department of public health issued a similar warning, that due to possible side effects from radio frequency radiation, children under eight should only use a cell phone in emergencies, and teenagers should limit calls to less than 10 minutes. In Sweden researchers say that cell phone users double the odds of brain cancer, and that users under the age of 20 increase their risk by a factor of five. 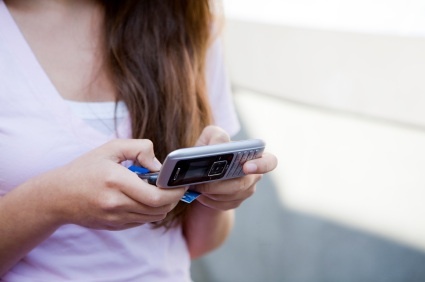 Cell phone risk to children is significantly higher. The thickness of their skulls is far less than that of adults. As a result, the potential for damage to the brain is far greater. Cell phones are here to stay. 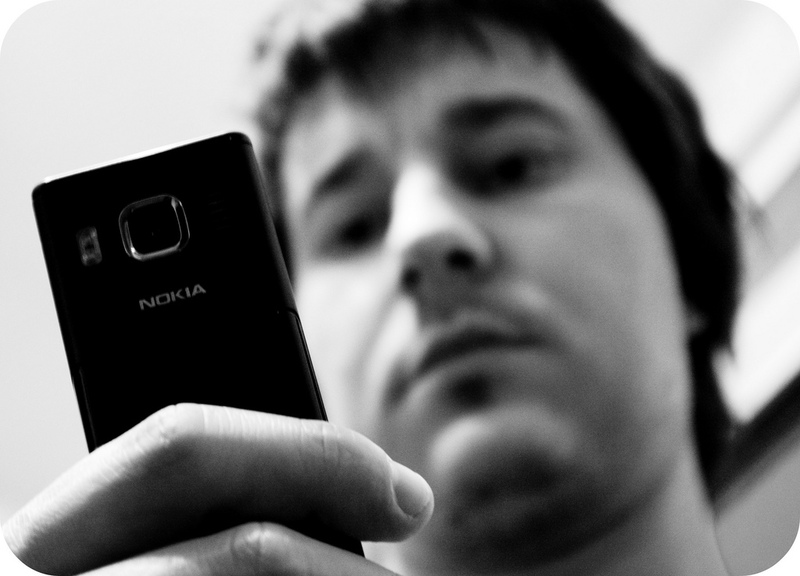 What can we do to protect ourselves from long-term exposure to cell phone radiation? There are a few common-sense steps everyone should take. First, don’t hold the cell phone up to your head. Use the speakerphone feature, or use a wired ear bud. Don’t use Bluetooth. It emits the same type of radiation as your cell phone. Wearing a Bluetooth device on your ear is constant exposure to EMF radiation. This is even worse in the long run than holding your phone up to your ear. However, even if you use the speakerphone or a wired ear bud, you are still exposing yourself to EMF radiation if you carry the cell phone on a belt clip, in your pocket, or anywhere else on your body. The device is always sending and receiving signals to and from cell towers. Second, try to limit the time you spend on your cell phone. Keep the device turned off whenever possible. Don’t give cell phones to your children. They are particularly vulnerable to the effects of EMFs on the brain. Okay, we hear you. You’re doing business, and you can’t keep your cell phone turned off or limit its use. We also understand that you want your teenagers to have a cell phone, in case of emergencies, and to keep in touch with them. There are two recommendations we can make to you. With either solution, we still recommend not holding the cell phone directly to your head, but instead using the speakerphone or a wired ear bud. Milham and other scientists say it’s impossible to know for sure. Since cancer has a latency period of at least 10 to 20 years, it’s too soon to tell. There is mounting evidence, however, of increased incidence of brain cancer among heavy cell phone users. Who is looking out for public health? With our ever-expanding use of electricity and recent developments in and burgeoning use of wireless technologies, the health risks for all life forms are growing at an alarming rate. Since cell phone technology first came into use, levels of man-made EMF radiation have increased by as much as 100,000 times for the whole planet. 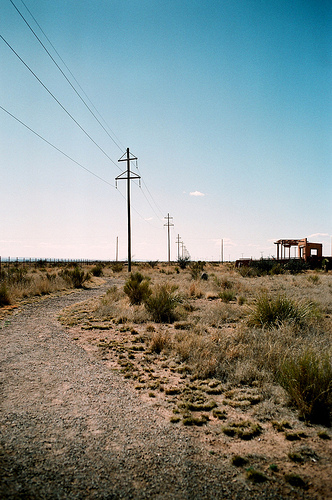 The third-generation cellular systems now being built require four times the number of transmitter masts used by the current mobile phone system. The installation of millions of wireless computer networks in offices, homes and schools will add another layer to the amount of microwave and radio frequency radiation to which people are exposed every day. There is near-total agreement among researchers that the developing brains of children are most vulnerable to EMFs. Environmental consultant Sage is worried that installing wireless computer networks in schools could increase children’s exposure to harmful radiation one hundredfold. It is time to clear the air of disinformation about EMFs. The need to understand electromagnetic fields, identify their potential health hazards and implement measures to mitigate the risks they pose to human health has become urgent. Milham and other scientists are increasingly concerned that it may take an epidemic of brain and other cancers to catalyze the independent research, government oversight and avoidance measures that are necessary to protect human health and the health of the entire planet. Let’s hope they’re wrong. AM Heidi Gitterman is a speaker, author and contributing editor to Alternative Medicine. idebar EMF Safety Tips: Remember that EMFs go through doors and walls. In general, to reduce your exposure to EMFs, increase the distance between you and the source. A surprising rule of thumb: The smaller and cheaper the motor, the higher its electromagnetic field. In kitchens, the appliance with the highest EMF reading is often the electric can opener. EMF levels can be very different between makes and models of the same appliance. In general, those with a higher EER (energy efficiency ratio) produce lower EMF levels and are therefore safer. Look for EnergyStar appliances. You can also test electrical appliances in the store using a handheld Gauss meter. Stay at least an arm’s length away from the front, back and sides of a computer monitor, even if there is a wall between you. And keep your distance from the computer itself; the chassis also produces an electromagnetic Þeld. If you must use an electric blanket or heated waterbed, use one that has been wired to neutralize its powerful magnetic Þeld. Move away from appliances (dishwashers, toasters, microwave ovens) while they are operating. Avoid using cellular phones as much as possible. Prudent avoidance The United States has no federal health-based standards for exposure to electromagnetic fields. However, after more than 25 years of intensive study, the Swedish government established a safety limit for exposure to ELF (extremely low frequency) magnetic fields at 2.5 mG. 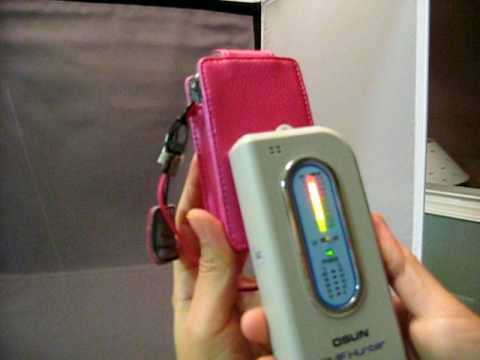 Since EMFs are not visible, have no odor and make no sound discernable by the human ear, some scientists believe that EMF detectors are essential to prudent avoidance of hazardous EMFs. Gauss meters can be used to check for EMFs in your home, office and car. You can hire an environmental consultant to do the job, or you can purchase an inexpensive meter and do the checking yourself. Sometimes moving a bed, a chair or an appliance as little as 6 to 12 inches can mean the difference between resting in a safe place or a potentially dangerous one. The California EMF Program suggests you stay 3 to 4 feet from appliances, 60 to 200 feet from distribution lines and 300 to 1,000 feet from transmission lines. It’s a good idea to check the electrical wiring throughout your home. Noncode wiring is often the cause of high EMF readings. Finally, because of the amount of time we spend sleeping and the negative health effects that high levels of EMFs can have on the body’s ability to produce cancer-fighting melatonin, keeping EMFs under 1 mG in the bedroom is especially important. We are being kept in a state of ignorance about the dangers posed by electrical pollution at a time when the devices contributing to that pollution from power tools to cell phones to electric cars are proliferating wildly, with no EMF safety-testing whatsoever and almost no non-industry-sponsored funding for research. Studies and missed opportunities In their 1979 study “Electrical Wiring Configurations and Childhood Cancer,” Wertheimer and Leeper observed, “Electrical power came into use many years before environmental impact studies were common, and today our domestic power lines are taken for granted and generally assumed to be harmless. However, this assumption has never been adequately tested. É In 1976-77, we did a field study in the greater Denver area which suggested that, in fact, the homes of children who developed cancer were found unduly often near electric lines carrying high currents.” The groundbreaking study, published in the American Journal of Epidemiology, was summarily dismissed by utility companies and government agencies, which refused to fund a single study that would refute or confirm the findings. Three years later, Swedish physician Lennart Tomenius reported significantly higher-than-expected levels of cancer among Stockholm residents exposed to EMF levels similar to those reported in the Denver study. His findings, too, were ignored. Many occupational studies have demonstrated an EMF-cancer link. In July 1982, research epidemiologist Sam Milham of the Washington State Department of Health published the results of a study indicating that workers with high EMF exposure such as electricians and power station operators had a greater-than-expected rate of leukemia. Dozens of other studies corroborated these findings. And in 1989, Johns Hopkins University reported that, in addition to having a higher-than-average risk of leukemia and lymphoma, male telephone-cable splicers also had a higher-than-average risk of lung, prostate, colon and breast cancer. Most of this research went unreported by the popular press. Then, in 1989 and 1990, a series of articles by Paul Brodeur in the New Yorker, entitled “Annals of Radiation: The Hazards of Electromagnetic Fields,” shocked the nation into an awareness of the possible health dangers associated with these unseen energy fields. A flurry of print and TV news stories on the subject followed. Then silence. The myth of low risk ratios Critics who scoff at the idea that EMFs pose any health risk often point to studies in which exposure to EMFs could not be shown to cause a significant increase in cancer or other diseases in other words, EMFs seemed to have relatively low “risk ratios.” What these studies did not take into account was that, because EMFs are everywhere in modern industrial society, it is virtually impossible to find control groups for clinical EMF studies. In his 1998 study of carcinogenic risk, “Carcinogenicity of Electromagnetic Fields,” Milham illustrates this point by presenting the basic data of a 1956 study of smoking and lung cancer conducted by British physicians Richard Doll and Austin Bradford Hill. In that study, Milham notes, “a high relative risk [was] achieved only when heavy smokers [were] compared to nonsmokers.” He then points out that “the EMF equivalent of nonsmokers does not exist in the industrialized world.” The relatively small risk ratios camouflage an already elevated incidence of EMF-related disease in the general population. A second factor compromising EMF risk calculations is that researchers may actually have used the wrong magnetic field meters to conduct their exposure assessments. The Positron, Emdex and Amex meters that still are used in many residential and occupational studies have one fatal flaw: They do not detect EMFs below 35 or 40 Hz, the very low frequency (VLF) and extremely low frequency (ELF) electromagnetic fields that are known to have negative effects on human health. (Nor do they detect the higher frequencies used by cell phones, televisions, radios and microwaves.) The fudge factor Let’s examine a study that is still widely cited as evidence that EMFs are harmless: The National Cancer Institute-Linet Study. According to a 1997 NCI press release, “A comprehensive study by researchers from the National Cancer Institute and the Children’s Cancer Group found no evidence that magnetic fields in the house increase the risk for the most common form of childhood cancer.” Yet, the researchers acknowledge in no less than four places in the report that a statistically significant increase in acute lymphoblastic leukemia exists in children exposed to power line magnetic fields in excess of 3 milligauss (mG). The report confirms previous studies showing a similar level of association between childhood leukemia and magnetic fields from electricity. So how did the NCI come to the conclusion that there was no risk? Very simple. It set a cutoff limit of 2 mG. (The worldwide safety standard is 2.5 mG.) By establishing that limit, the NCI effectively removed any statistically significant connection with the associated dangers. Standards? What standards? There are no health-based standards for long-term or short-term exposure to extremely low-frequency EMFs in the home or in the workplace. The federally permitted 1,000 mG limit for U.S. workplaces, established in 1986, addresses only thermal safety standards those necessary to avoid shocking, boiling or frying the human body. 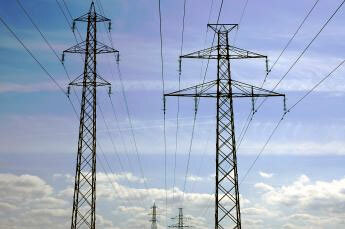 Electricity is what causes our hearts to beat and our brains to think. Without it there would be no cell division; we could not hear, see, feel or move. We don’t just use electricity it is an essential part of who we are. Our planet has its own natural electrical and magnetic fields. Lightning, for example, creates natural electric fields as it strikes the planet hundreds of times each hour. The Earth itself is like a giant magnet, with lines of magnetic force running from the North Pole to the South Pole. Life has adapted to and existed within this natural electromagnetic environment for millions of years. That is, until the last century. Our civilization now runs on man-made electricity, and we live in proximity to power sources and office machines and appliances that generate a wide range of electromagnetic radiation almost 24 hours a day. But the electromagnetic fields, or EMFs, created by modern society are very different from the static magnetic field in which life has evolved. Health concerns Unease about the health effects of electromagnetic fields can be traced back to a 1979 study conducted by epidemiologist Nancy Wertheimer and physicist Ed Leeper. The Wertheimer-Leeper study found that children living close to high-current power lines were two to three times more likely to develop cancer than children who did not. In the 23 years since, dozens of studies have corroborated the Wertheimer-Leeper findings, and hundreds of other studies have associated exposure to EMFs with increased incidence of childhood and adult cancers, including leukemia, lymphoma, brain cancer and male breast cancer, as well as increased risk of miscarriage, depression and suicide. And while some studies have found either no risk or very low risk of electromagnetic fields for cancer, a preponderance of the evidence suggests that EMFs are a serious threat to human health. In his 1985 book The Body Electric: Electromagnetism and the Foundation of Life, Robert O. Becker, M.D., noted, “The human species has changed its electromagnetic background more than any other aspect of the environment.” According to Becker, “The greatest polluting element in the Earth’s environment is the proliferation of electromagnetic fields.” Everyone recognizes the health hazards of chemical pollutants in our air, land and water. But ask someone about the dangers of EMFs and you’ll most likely get a blank stare. Putting the spin on science In July 1997, addressing the First World Conference on Breast Cancer, environmental consultant and policy researcher Cindy Sage declared that decision-making on public health issues is hampered “when there is a large industry presence [that] may suffer Þnancial consequences with the admission of liability for a carcinogenic product.” Such a situation, she added, “creates a difficult climate for funding, evaluating and acting on new scientific information. The state of the science becomes a battleground, where scientific uncertainty is argued as reason to defer action or take trivial or meaningless action.” This is exactly what has happened with EMF research. Due to strong industry pressure to ignore possible health risks, studies showing positive EMF-cancer associations have been discredited, while other studies have disguised or buried the association altogether. New Delhi, Feb 3 (IANS) Next time you chat away for hours on your mobile phone, think about the grave health risks from the emitted radiation. It causes loss of memory, lack of concentration, digestive and sleep disturbances, says a government panel on hazards posed by electromagnetic radiation. According to a study by the eight-member inter-ministerial committee, comprising representatives from the health ministry and the departments of biotechnology and telecommunications, startling violations of radio frequency levels according to international standards were found. The localised Specific Absorption Rate (SAR) as per the Indian guidelines standard is 2 watt per kg, averaged over a six minute period. According to the study however, the radiation effects are more in Indians than Europeans due to the tropical climate in India, low mass index and low fat content. ‘With higher SAR values of mobile handsets, the public could potentially receive much higher radio frequency exposure. We have recommended that SAR levels be lowered down to 1.6 watt per kg, as prescribed by the Federal Communication Commission of United States (US),’ a committee member said. The report also recommends the use of hands-free technology to lower physical contact with the body and the cell phone and the mobile phones not adhering to standard levels of energy radiation should be banned. It recommended children, adolescents and pregnant women should avoid excessive use of mobile phones. ‘People having active medical implants should keep their cell phone at least 30 cm away from the implant,’ the report advises. Apart from health risks, the study also indicates that mobile phone radiation creates environment hazards like disappearance of butterflies, bees, insects and sparrows from big cities. ‘Mobile towers should not be installed near high-density residential areas, schools, playgrounds and hospitals,’ the report said. The recommendations submitted by the committee will be used to chalk out a national policy and better guidelines on electromagnetic frequency (EMF) radiation for telecom towers.